Universities in Canada are established and operate under provincial government charters. Most schools are members of Universities Canada (formerly the Association of Universities and Colleges of Canada (AUCC)). The title "university" is protected under federal regulation. Higher education institutions in Canada are prevented from becoming diploma mills by provincial legislation and regulation. Each Canadian university is autonomous in academic matters including policies and procedures of quality assurance of its programs, instructors and procedures. Membership of Universities Canada, and the university's provincial government charter, are seen as serving in lieu of institutional accreditation, both in Canada and abroad. Eight Canadian provinces have established bodies to provide a second level of quality assurance at universities. Saskatchewan and Newfoundland and Labrador do not have provincial quality assurance agencies. In addition, graduate programs and professional schools such as law, nursing, medicine and engineering obtain accreditation from accreditation boards, operated by various professional regulatory bodies. In Canada, universities are distinct from colleges. Universities Canada, an organisation composed of Canadian universities, defines universities as degree-granting institutions, i.e. institutions which provide bachelor's degrees, master's degrees, and doctoral degrees. The organization defines colleges, similar to community colleges in the United States, as institutions that grant diplomas. Some colleges are enabled by provincial legislation to provide a limited set of bachelor's degree programs or provide bachelor's degrees through joint programs with universities. This ability is highly restricted and must be renewed yearly. As of 2016[update] there are 96 universities in Canada. 1.8 million students are enrolled in university. Programs are offered to graduating high school students through choice, however, students must maintain specific entering averages, which generally range from 65–85%, depending on criteria set by the chosen university. On campus residences are available at 95% of universities in Canada. Most include a meal plan and general utilities. Residence is optional at all post-secondary campuses. Degree programs generally last three to four years, though some programs may take longer to complete due to cooperative education (Co-op) programs or joint programs with colleges which are touted for offering practical experience. Tuition is based on program material and content which varies in price. For many programs, more general courses will be taken in first year while "program specific courses" begin in year two. 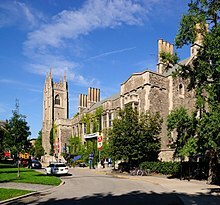 Some universities such as University of Toronto require admission separate from initial admission from high school into specific programs based on internal standards achieved in first year (i.e. a set grade point average). The University of Alberta has the largest number of graduate students enrolled in Alberta. Post-secondary education in Alberta is regulated by the Ministry of Advanced Education. There are eight public universities in Alberta, eleven public colleges, two polytechnical institutes (which grant degrees), and seven private colleges (all of which grant degrees). Most private universities refer to themselves as "university colleges", and they grant equivalent degrees. Edmonton, the province's capital city, is home to the University of Alberta, the province's largest university; MacEwan University; The King's University; and Concordia University of Edmonton (not to be confused with Concordia University of Montreal). The French-language Campus Saint-Jean is part of the University of Alberta, offering programmes to francophone and francophile students. There are four universities in Calgary: the University of Calgary, Ambrose University, Mount Royal University, and the Alberta University of the Arts. The University of Lethbridge is based out of Lethbridge but also has a campus in Calgary. Athabasca University, a distance learning university, has been based out of Athabasca since 1970. Established in 1907 in Leduc, the independent publicly funded Burman University in Lacombe is the oldest university in Alberta. Formerly a university college, the Alberta Government granted the institution permission to change its status from "university college" to "university". In 2009, a bill was passed by the Alberta legislature which allowed the two public colleges that offered degrees (MacEwan College in Edmonton and Mount Royal College in Calgary) to change their status to universities. Mount Royal College was renamed Mount Royal University on September 3, 2009 and Grant MacEwan College became Grant MacEwan University on September 24, 2009 (renamed MacEwan University in September 2013). Most recently, The King's University and Concordia University of Edmonton have obtained the right to change their respective names from University-College to University. The University of British Columbia has the largest number of students enrolled in western Canada. 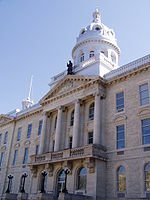 Established in 1818, Université de Saint-Boniface is the oldest university in Manitoba and the only French language university in western Canada. There are eleven public universities and five private universities in British Columbia. Eight of these universities – Capilano University, Emily Carr University of Art and Design, University of the Fraser Valley, Kwantlen Polytechnic University, Trinity Western University, Simon Fraser University, the University Canada West and the University of British Columbia – are in the Metro Vancouver region, the most populated region of British Columbia (with the exception of the University of British Columbia Okanagan - the major UBC campus located in the Okanagan Valley), and three of them – Vancouver Island University, Royal Roads University and the University of Victoria – are on Vancouver Island. The University of Northern British Columbia houses a main campus in Prince George, with regional campuses in Quesnel, Terrace and Fort St. John. Three public universities, Capilano University, University of the Fraser Valley and Kwantlen Polytechnic University, along with the private Quest University Canada, are primarily undergraduate institutions. Two US based private universities campuses in Vancouver namely New York Institute of Technology and Fairleigh Dickinson University both are in Vancouver primarily for undergraduate and graduate students. The oldest university in the province is the University of British Columbia, established in 1908, with its newest major campus in Okanagan established in 2005. Five institutions in British Columbia were officially designated as universities on September 1, 2008: Capilano University, Emily Carr University of Art and Design, Kwantlen Polytechnic University, the University of the Fraser Valley, and Vancouver Island University. University enrolment in British Columbia ranges from Quest University Canada with 700 students to the University of British Columbia with 45,484 students. The biggest provider of online and distance education in BC is Thompson Rivers University, Open Learning. With over 400 individual courses and more than 57 programs available for completion by distance and online learning, students can take a variety of programs such as: adult secondary school completion; certificates and diplomas, including advanced and post-baccalaureate; associate degrees; and bachelor's degrees. Considering distance students, Thompson Rivers University's enrolment is 22,036 (8964 of which is distance). There are seven universities in Manitoba, which are under the responsibility of the Ministry of Advanced Education and Literacy. Five of these universities—Booth University College, Canadian Mennonite University, the University of Manitoba, the University of Winnipeg, and Université de Saint-Boniface—are in Winnipeg, the capital and largest city in the province. Université de Saint-Boniface, established in 1818, is the oldest university in the province and is the only French-language university in western Canada. Booth University College, formed in 1982, is one of the newest. Brandon University is located in the western Manitoba city of Brandon. In northern Manitoba, the University College of the North serves the communities of The Pas and Thompson. Smaller satellite campuses serve 12 other smaller centers, 9 of which are on First Nations. University enrollment in Manitoba ranges from Booth University College with several hundred students to the University of Manitoba with 26,800 students. The University of New Brunswick has the largest student enrolment in the province. There are eight chartered universities in New Brunswick; four public universities, governed by the Ministry of Post-Secondary Education, Training and Labour, and four private institutions including an online university, Yorkville University. New Brunswick holds the distinctions of having the first English-language university in Canada and the first public university in North America, (the University of New Brunswick); and also the first university in the British Empire to have award a bachelor's degree to a woman, (Mount Allison University) in 1875. 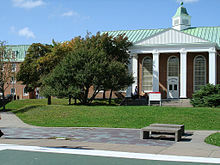 St. Thomas University and University of New Brunswick have campuses in the province's capital of Fredericton and UNB also maintains a campus in Saint John. St. Thomas University is the only public university in the province that does not offer graduate-level programs. Established in 1785, the University of New Brunswick is the oldest public in the province, and the Université de Moncton is the newest, formed in 1963, though dating back to 1864 through one of its three predecessor institutions. Public university enrolment ranges from Mount Allison University with 2,486 students to the University of New Brunswick with 10,587 students. Of the three private universities, Crandall University is the largest with enrolment expected to reach 1,200. Another private university, St. Stephen's University is located in St. Stephen, NB. Memorial University of Newfoundland is the largest university in Atlantic Canada. The Degree Granting Act of Newfoundland and Labrador regulates degree-granting universities in the province. The only university in Newfoundland and Labrador, Memorial University of Newfoundland, has campuses in two cities, in St. John's, the capital of Newfoundland and Labrador, and on the west coast of the province, in Corner Brook. With 18,172 enrolled students, it is the largest university in Atlantic Canada. The University of King's College is the oldest university in Nova Scotia. There are 10 universities in Nova Scotia. Six of these – Atlantic School of Theology, Dalhousie University, Mount Saint Vincent University, the NSCAD University, Saint Mary's University, and the University of King's College – are located in Halifax, Nova Scotia, the provincial capital and largest city in Atlantic Canada. The oldest university in the province is the University of King's College, established in 1789, while the newest is Cape Breton University, established in 1974. University student enrolment in Nova Scotia ranges from 150 students at Atlantic School of Theology to more than 18,000 at Dalhousie University. Several universities in Nova Scotia have religious connections. The University of King's College, founded in Windsor, was the first college to obtain university powers in British North America, at a time when Upper Canada had no government of its own. It has always remained under the control of the Church of England. Dalhousie University, originally known as Dalhousie College, was established in Halifax in 1818 with the help of the Presbyterian Church, and Acadia University was founded by Baptists. Catholics formed Saint Mary's University, Mount Saint Vincent University, and Saint Francis Xavier University. Université Sainte-Anne, the tenth university, is located in Pointe-de-l'Église and instructs its academic courses in French. The University of Toronto has the largest student population of any university in Canada. There are 24 publicly funded universities in the Canadian province of Ontario that are post-secondary education institutions with degree-granting authority. Each of these institutions were either established through an Act of the Legislative Assembly or through a Royal Charter. With the exception of Royal Military College of Canada, students apply to public universities in Ontario through the Ontario Universities' Application Centre. Ontario also has 24 publicly funded colleges, most referred to as Colleges of Applied Arts and Technology and five as Institutes of Technology and Advanced Learning, all of which are commonly referred to as colleges. 12 colleges offered 74 bachelor's degree programmes, as of 2012[update]-13. The University of Toronto was established in 1827 making it the oldest university in Ontario. The newest University in Ontario is Algoma University, which was established in 2008 after gaining independence from Laurentian University. The largest university in terms of enrolment is the University of Toronto, which has campuses in three locations. York University, in Toronto has over 50,000 students, the second largest university in terms of enrolment. The U15 Group of Canadian Research Universities is headquartered in Ottawa. There is one university in Prince Edward Island that is authorized to grant degrees. Higher education in the province falls under the jurisdiction of the Higher Education and Corporate Services Branch within the Department of Education and Early Childhood Development. The only university in the province, the University of Prince Edward Island, is in the province's capital of Charlottetown. The institution resulted from an amalgamation of Prince of Wales College, a former university college founded in 1834, and Saint Dunstan's University, founded in 1855. UPEI hosts the Atlantic Veterinary College, funded by the four Atlantic provincial governments. Established in 1663, Université Laval is the oldest post-secondary institution in Canada. McGill University is the oldest anglophone university in the province of Quebec. There are 18 universities in the largely French-speaking province of Quebec, 10 of which form the Université du Québec network. In Québec, universities are independent from government and autonomous in managing their affairs. By means of legislation or constitutional charters, lawmakers have granted each university the freedom to define its own curriculum and develop its own teaching and research programs. The university has full responsibility for setting admission standards and enrolment requirements, awarding degrees and recruiting its personnel. 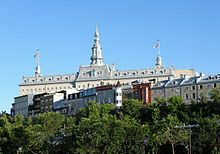 Of the eighteen universities, three are anglophone: Concordia University, McGill University and Bishop's University. The rest are francophone: five of them – École de technologie supérieure, École Polytechnique de Montréal, HEC Montréal, Université de Montréal and Université du Québec à Montréal – are located in Montreal, the most populated city in Quebec, and four of them – École nationale d'administration publique, Institut national de la recherche scientifique, TÉLUQ and Université Laval – are based in Quebec City, the province's capital. The Institut national de la recherche scientifique and École nationale d'administration publique do not offer undergraduate level programs. The oldest university in the province is Université Laval, established in 1663. The most recent institutions are: Université du Québec en Abitibi-Témiscamingue (1983), Concordia University (1974), École de technologie supérieure (1974), Téluq (1972, merged with UQÀM in 2005, split in 2012). University enrolment in the province of Quebec ranges from the Institut national de la recherche scientifique with 480 students to the Université de Montréal with 55,540 students (but this figure actually includes HEC and Polytechnique, which are legally distinct universities). The University of Saskatchewan holds the highest enrollment numbers out of any university in the province. There are three universities in Saskatchewan. The Government of Saskatchewan must establish statutes individually to degree-granting universities; these statutes outline the authority of each institution, their regulations, and bylaws. The First Nations University of Canada and the University of Regina are both in Regina, the province's capital, and the University of Saskatchewan is in Saskatoon, the most populous city in Saskatchewan. 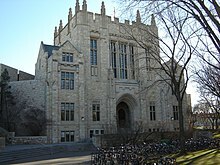 The University of Saskatchewan is the oldest university in the province, founded in 1907, and the First Nations University of Canada is the newest, established in 1976. The University of Saskatchewan is also the largest university in Saskatchewan with 18,620 students, and the First Nations University of Canada (FNUC) is the smallest with 840 students. The First Nations University is the only Canadian university that caters to the needs of First Nations students. It was originally called the Federation of Saskatchewan Indian Nations, and once formed, it entered into a federated agreement with the University of Regina to create the Saskatchewan Indian Federated College (SIFC). This Agreement allowed FNUC to become an independently administered university-college that served First Nations students. The First Nations University of Canada is the only university in the province that does not offer graduate-level programs. Canada is the only developed country without an accreditation system to assess the quality of post-secondary schools, such as the United States' network of national and regional accreditation organizations. Membership of Universities Canada and provincial charters or legislation are substitutes but provinces usually do not evaluate universities as rigorously as American accreditation organizations, and graduates of institutions that are not Universities Canada members sometimes find that universities in other provinces do not recognize their degrees. There are several unofficial rankings published on an annual basis. Maclean's annual Canadian university rankings is a good place to start comparing different universities. Several other magazines like Times Magazine also regularly publish rankings. Athabasca in 2006 became one of the first Canadian universities to receive American accreditation, when the Middle States Commission on Higher Education approved its application. After the Simon Fraser Clan became the first non-American teams to join the American National Collegiate Athletic Association—which requires regional accreditation—the university applied to the Northwest Commission on Colleges and Universities (NWCCU) in 2008 and was granted accredited status effective as of 2015[update]. According to Simon Fraser, US accreditation will "simplify our relationships with US institutions, including government, foundations and collegiate sports associations", and "enhance the value of an SFU degree for alumni abroad and for international students returning home". In 2013 non-Universities Canada member Capilano also received accreditation from the NWCCU, and Thompson Rivers announced its intention to apply. University of Lethbridge Lethbridge, Edmonton, Calgary Alberta English 1967 7,930 300 8,230 $52m e.
^ "Canada Corporations Regulations". Justice Laws Website. Queen's Press in Right of Canada. 2017-06-16. Archived from the original on 2017-07-06. Retrieved 2017-06-29. ^ "Post-secondary institutions defined". Association of Universities and Colleges of Canada. Archived from the original on 2008-12-19. Retrieved 2008-10-23. ^ "Post-secondary Education Choice and Excellence Act, 2000, S.O. 2000, c. 36, Sched". Queen's Printer in Right of Ontario. Archived from the original on 2018-05-06. Retrieved 2017-06-29. ^ "University". Archived from the original on 2017-06-16. ^ "University Statistics". Archived from the original on 2014-07-13. ^ a b "Post-Secondary Institutions". Alberta Enterprise and Advanced Education. Archived from the original on 2012-09-25. Retrieved 2008-10-09. ^ Intercamp, "MacEwan and MRC could add University to name". ^ Braid, Don (2009-09-03). "Tories reward Mount Royal". Calgary Herald. Archived from the original on 2009-09-04. Retrieved 2009-09-03. ^ "Grant MacEwan University celebrates new name". 2009-09-24. Archived from the original on 2011-07-16. Retrieved 2009-09-25. ^ "About UBC". ubc.ca. Archived from the original on 2011-08-23. Retrieved 2011-08-01. ^ "An Overview of B.C. 's Public Post-secondary Institutions". Aved.gov.bc.ca. 2008-09-01. Archived from the original on 2009-09-25. Retrieved 2009-09-05. ^ "About - Enrolment". www.Questu.ca. Quest University Canada. Archived from the original on 27 October 2014. Retrieved 27 October 2014. ^ "Quality Assurance Practices for Postsecondary Institutions in Manitoba". Canadian Information Centre for International Credentials. 2008-03-06. Archived from the original on 2008-12-04. Retrieved 2008-10-11. ^ a b c d "Canadian Universities". Association of Universities and Colleges of Canada. Archived from the original on 2008-10-31. Retrieved 2008-10-08. ^ "Premier announces NB Commission on Post-Secondary Education (07/01/19)". Government of New Brunswick. 2007-01-19. Archived from the original on 2007-08-28. Retrieved 2008-10-11. ^ "UNB: Quick Facts". University of New Brunswick. Archived from the original on 2009-01-30. Retrieved 2008-10-11. ^ "Mount Allison and our Campus..." Mount Allison University. Archived from the original on 2012-09-07. Retrieved 2008-10-24. ^ "Degree Granting Act, R.S.N.L. 1990, c. D-5". Canadian Legal Information Institute. Archived from the original on 2009-01-09. Retrieved 2008-10-11. ^ "About the School of Music". Memorial University. Archived from the original on 2008-10-25. Retrieved 2008-10-12. ^ "Universities in Nova Scotia". Government of Nova Scotia. Archived from the original on 2007-08-05. Retrieved 2008-10-21. ^ Bourinot, John George (2004). "Chapter II: Education". The Intellectual Development of the Canadian People. Kessinger Publishing. ISBN 1-4191-6747-2. Archived from the original on 2011-10-09. ^ "Post-Secondary - Schools Programs - University". Ontario Ministry of Training, Colleges, and Universities. Archived from the original on 2011-01-05. Retrieved 2011-01-10. ^ Cooper, William Mansfield (July 1967). "Governments and the University". Peabody Journal of Education. 45 (1): 57–60. ^ Girard, Daniel (2007-09-20). "University of Toronto (Mississauga): Best of both worlds". Toronto Star. Archived from the original on 2008-04-10. Retrieved 2008-04-21. ^ "Higher Education and Corporate Services". Government of Prince Edward Island. Archived from the original on 2008-10-11. Retrieved 2008-10-11. ^ "University of Prince Edward Island". The Canadian Encyclopedia. Archived from the original on 2014-12-06. Retrieved 2008-10-12. ^ "Applications and Admissions". University of Prince Edward Island. Archived from the original on 2016-10-22. Retrieved 2016-10-22. ^ "Quality Assurance Practices for Postsecondary Institutions in Saskatchewan". Canadian Information Centre for International Credentials. 2008-01-25. Archived from the original on 2008-12-04. Retrieved 2008-10-11. ^ "Our History". First Nations University of Canada. Archived from the original on 2007-08-11. Retrieved 2008-10-24. ^ "Accreditation at SFU". VP Academic, Simon Fraser University. Archived from the original on 14 April 2014. Retrieved 23 March 2014. ^ a b c Tamburri, Rosanna (2013-06-19). "More Canadian universities seek U.S. accreditation". University Affairs. Archived from the original on 9 November 2014. Retrieved 9 November 2014. ^ a b Millar, Erin (2010-03-17). "SFU pursues American accreditation". Maclean's. Archived from the original on 14 May 2014. Retrieved 13 November 2014. ^ "Accreditation at SFU". VP Academic, Simon Fraser University. Archived from the original on 2017-09-19. Retrieved 2017-09-01. ^ "Accreditation Questions and Answers". VP Academic, Simon Fraser University. Archived from the original on 14 April 2014. Retrieved 23 March 2014. ^ "Athabasca University". Association of Universities and Colleges of Canada. Archived from the original on 2010-06-09. Retrieved 2010-06-28. ^ "Grant MacEwan University". Archived from the original on 2012-11-16. Retrieved 2011-11-13. ^ "Mount Royal University". Archived from the original on 2011-11-23. Retrieved 2011-11-13. ^ "University of Alberta". Association of Universities and Colleges of Canada. Archived from the original on 2008-03-14. Retrieved 2010-06-28. ^ "University of Calgary". Association of Universities and Colleges of Canada. Archived from the original on 2010-07-02. Retrieved 2010-06-28. ^ "The University of Lethbridge". Association of Universities and Colleges of Canada. Archived from the original on 2008-12-06. Retrieved 2008-10-08. ^ "Emily Carr University of Art + Design". Association of Universities and Colleges of Canada. Archived from the original on 2009-03-30. Retrieved 2009-03-21. ^ "Kwantlen Polytechnic University". Association of Universities and Colleges of Canada. Archived from the original on 2009-03-30. Retrieved 2009-03-21. ^ "Royal Roads University". Association of Universities and Colleges of Canada. Archived from the original on 2009-03-31. Retrieved 2009-03-21. ^ "Simon Fraser University". Association of Universities and Colleges of Canada. Archived from the original on 2009-03-31. Retrieved 2009-03-21. ^ "The University of British Columbia". Association of Universities and Colleges of Canada. Archived from the original on 2008-09-12. Retrieved 2009-03-21. ^ "University of Victoria". Association of Universities and Colleges of Canada. Archived from the original on 2011-09-24. Retrieved 2009-03-21. ^ "University of the Fraser Valley". Association of Universities and Colleges of Canada. Archived from the original on 2009-03-30. Retrieved 2009-03-21. ^ "University of Northern British Columbia". Association of Universities and Colleges of Canada. Archived from the original on 2009-03-30. Retrieved 2009-03-21. ^ "Vancouver Island University". Association of Universities and Colleges of Canada. Archived from the original on 2009-03-23. Retrieved 2009-03-21. ^ "Brandon University". Association of Universities and Colleges of Canada. Archived from the original on 2008-12-18. Retrieved 2008-10-08. ^ a b "Manitoba Advanced Education and Literacy". Government of Manitoba. Archived from the original on 2008-08-21. Retrieved 2008-10-22. ^ "The University of Manitoba". Association of Universities and Colleges of Canada. Archived from the original on 2008-11-12. Retrieved 2008-10-08. ^ "The University of Winnipeg". Association of Universities and Colleges of Canada. Archived from the original on 2008-12-18. Retrieved 2008-10-08. ^ "Collège universitaire de Saint-Boniface". Association of Universities and Colleges of Canada. Archived from the original on 2008-12-18. Retrieved 2008-10-08. ^ a b c d e f g h i j k l m n o p q "Full-time plus Part-time Enrolment" (PDF). Association of Atlantic Universities. 2012-10-15. Archived from the original (PDF) on 2013-04-30. Retrieved 2012-10-15. ^ "Algoma University". Association of Universities and Colleges of Canada (AUCC). Archived from the original on 2008-12-18. Retrieved 2008-09-27. ^ "Brock University". Brock University. Retrieved 2008-09-27. ^ "Carleton University". AUCC. Archived from the original on 2008-12-10. Retrieved 2008-09-27. ^ "Dominican College of Philosophy and Theology (Dominican University College)". AUCC. Archived from the original on 2008-12-18. Retrieved 2008-09-27. ^ "Lakehead University". AUCC. Archived from the original on 2008-12-10. Retrieved 2008-09-27. ^ "Laurentian University of Sudbury". AUCC. Archived from the original on 2008-11-12. Retrieved 2008-09-27. ^ "McMaster University". AUCC. Archived from the original on 2008-12-10. Retrieved 2008-09-27. ^ "Nipissing University". AUCC. Archived from the original on 2008-12-18. Retrieved 2008-09-27. ^ "Ontario College of Art & Design". AUCC. Archived from the original on 2008-11-12. Retrieved 2008-09-27. ^ "Queen's University at Kingston". AUCC. Archived from the original on 2008-11-06. Retrieved 2008-09-27. ^ "Saint Paul University". SPU. Archived from the original on 2011-04-29. Retrieved 2011-03-12. ^ "Royal Military College of Canada". AUCC. Archived from the original on 2011-05-18. Retrieved 2008-09-27. ^ "Ryerson University". AUCC. Archived from the original on 2011-07-13. Retrieved 2008-09-27. ^ "Trent University". AUCC. Archived from the original on 2008-12-18. Retrieved 2008-09-27. ^ "University of Guelph". AUCC. Archived from the original on 2008-11-12. Retrieved 2008-09-27. ^ "UOIT enrolment surpasses 10,000 students". University of Ontario Institute of Technology. Archived from the original on 26 September 2015. Retrieved 25 September 2015. ^ "University of Ottawa - Quick Facts 2014" (PDF). University of Ottawa. Archived (PDF) from the original on 2014-10-29. Retrieved 2015-02-24. ^ "University of Toronto". AUCC. Archived from the original on 2008-09-13. Retrieved 2008-09-27. ^ "University of Waterloo". AUCC. Archived from the original on 2007-06-07. Retrieved 2008-09-27. ^ "The University of Western Ontario". AUCC. Archived from the original on 2008-12-18. Retrieved 2008-09-27. ^ "University of Windsor". AUCC. Archived from the original on 2008-11-05. Retrieved 2008-09-27. ^ "York University". AUCC. Archived from the original on 2008-12-10. Retrieved 2008-09-27. ^ "Bishop's University". Association of Universities and Colleges of Canada. Archived from the original on 2008-12-10. Retrieved 2008-09-26. ^ "Concordia University". Association of Universities and Colleges of Canada. Archived from the original on 2008-12-18. Retrieved 2008-09-26. ^ "Université du Québec - École de technologie supérieure". Association of Universities and Colleges of Canada. Archived from the original on 2008-11-05. Retrieved 2008-09-26. ^ "Université du Québec - École nationale d'administration publique". Association of Universities and Colleges of Canada. Archived from the original on 2008-09-15. Retrieved 2008-09-26. ^ "École Polytechnique de Montréal". Association of Universities and Colleges of Canada. Archived from the original on 2008-08-01. Retrieved 2008-09-26. ^ "École des Hautes Études Commerciales". Association of Universities and Colleges of Canada. Archived from the original on 2008-11-12. Retrieved 2008-09-26. ^ "Institut national de la recherche scientifique". Association of Universities and Colleges of Canada. Archived from the original on 2008-12-18. Retrieved 2008-09-26. ^ "McGill University". Association of Universities and Colleges of Canada. Archived from the original on 2008-11-12. Retrieved 2008-09-26. ^ "Université de Montréal". Association of Universities and Colleges of Canada. Archived from the original on 2008-11-06. Retrieved 2008-09-26. ^ "Université de Sherbrooke". Association of Universities and Colleges of Canada. Archived from the original on 2008-12-10. Retrieved 2008-09-26. ^ "Université du Québec en Abitibi-Témiscamingue". Association of Universities and Colleges of Canada. Archived from the original on 2008-08-01. Retrieved 2008-09-26. ^ "Université du Québec en Outaouais". Association of Universities and Colleges of Canada. Archived from the original on 2008-12-11. Retrieved 2008-09-26. ^ "Université du Québec à Chicoutimi". Association of Universities and Colleges of Canada. Archived from the original on 2008-12-18. Retrieved 2008-09-26. ^ "Université du Québec à Montréal". Association of Universities and Colleges of Canada. Archived from the original on 2008-12-17. Retrieved 2008-09-26. ^ "Université du Québec à Rimouski". Association of Universities and Colleges of Canada. Archived from the original on 2008-12-18. Retrieved 2008-09-26. ^ "Université du Québec à Trois-Rivières". Association of Universities and Colleges of Canada. Archived from the original on 2008-09-15. Retrieved 2008-09-26. ^ "Université Laval". Association of Universities and Colleges of Canada. Archived from the original on 2008-12-10. Retrieved 2008-09-26. ^ "First Nations University of Canada". AUCC. Archived from the original on 2008-12-18. Retrieved 2008-10-08. ^ "University of Regina". AUCC. Archived from the original on 2008-12-18. Retrieved 2008-10-08. ^ "University of Saskatchewan". AUCC. Archived from the original on 2008-12-18. Retrieved 2008-10-08. ^ "New York Institute of Technology, Vancouver". New York Institute of Technology. Archived from the original on 2016-08-26. Retrieved 2008-10-23. ^ "Quest University". Association of Universities and Colleges of Canada. Archived from the original on 2011-11-25. Retrieved 2011-11-18. ^ "Niagara University campus opens doors to 300 students in Vaughan". yorkregion.com. 21 January 2019. ^ "Trinity Western University". Association of Universities and Colleges of Canada. Archived from the original on 2009-03-30. Retrieved 2009-03-21. ^ "Growth on track as Victoria's University Canada West honours graduates at second Convocation". University Canada West. Archived from the original on 2008-06-10. Retrieved 2008-09-20. ^ "Booth University College". Archived from the original on 21 June 2012. Retrieved 1 July 2012. ^ "Bethany Bible College, Sussex, New Brunswick". Campus Starter. 2010. Archived from the original on July 8, 2011. Retrieved 2010-01-30. ^ "Atlantic Baptist University, Moncton, New Brunswick". Campus Starter. 2010. Archived from the original on July 8, 2011. Retrieved 2010-01-30. ^ "St. Stephen's University, St. Stephen, New Brunswick". Campus Starter. 2010. Archived from the original on March 5, 2016. Retrieved 2010-01-30. ^ "Tyndale University College". Archived from the original on 2011-08-20. Retrieved 2011-08-22. ^ "The King's University". Universities Canada. Archived from the original on 2017-03-11. Retrieved 2016-12-15. Drake, Miriam A. (2003). Encyclopedia of library and information science. CRC Press. ISBN 0-8493-3894-8.